A great tool to increase productivity and decrease stress. 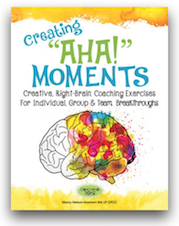 This self-coaching tool of 28 fast-reading, pocket-sized cards provide ideas, quotes and everything you need to know to improve your work/life. "I am... Affirmation Cards": A 150 card deck filled with positive affirmations carefully and specially chosen to enhance and empower your life experience. Use this 100-card set to become aware of negative patterns that keep you from achieving your dreams.Enjoy a renewed inner peace and the positive changes that result.